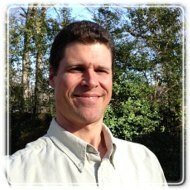 Greenville Therapist: Andrew Johnston - Therapist 29601. Are you trying to recover from fighting, anger, or betrayal? Does your marriage lack a sense of Trust? Passion? Hope? Do you feel alone, even when you're with your partner? Has the time come to take a step toward a solution? The counseling practice of Andrew Johnston, MDiv, MA, LPCI, and the Greenville Relationship Institute focuses on providing real assistance to individuals and couples struggling with their relationships. He practices Emotionally Focused Couples Therapy, the most research-validated approach to couples counseling available today. After being trained in ministry, conflict resolution, and mediation, he discovered that his passion was to help people find more peace, comfort, and joy in their relationships, and entered the graduate degree program for professional counseling at Eastern Mennonite University. In his studies, he encountered new research on Attachment Theory and advances in neuroscience that are significantly changing the way we understand relationships. "These studies not only changed my life professionally, but also personally. I could see my conflicts with my wife in an entirely new light. Suddenly, they made so much more sense! With this understanding, we were able to develop stronger, deeper bonds of trust. That is what I want to offer people in my work." Upon moving to Greenville in 2013, he began the training process in Emotionally Focused Couples Therapy, or EFT. "I believe EFT is hands-down the most effective approach to healing and developing close, loving relationships. It employs all the new research, and is constantly being reformed to be as effective and useful as possible. Even couples who have tried counseling before should see if EFT can help. It is a fundamentally different approach." In early 2016, he recognized a significant gap between the advances in relationship psychology and the normal, public awareness. "Most people simply don't know what an enormous difference this makes for relationship healing and growth. I wanted to get the word out and make this new approach available to Greenville." In addition to his private practice, he started the Greenville Relationship Institute, with the goal of promoting these advances through classes, events, counseling, and professional training. Mr. Johnston lives in Greenville with his wife of 16 years and two young children. He enjoys woodworking, home renovation, walking, biking, and raising chickens. For more information, please see his full bio here. Mr. Johnston believes that each person possesses the wisdom, courage, and strength to deal with the challenging circumstances of their life, and the process of counseling can help them discover and access those resources. He believes that our emotions are a natural process of healing, and when allowed to work naturally, they pave the way to overcoming negative symptoms and opening the way to growth and change. His work with couples focuses primarily on the emotional bond, attempting to establish a new level of trust and respect in the relationship. Once that foundation of trust is established, arguments are resolved much more quickly, tension begins to fade, and each partner begins to feel heard and respected by the other. Part of my own journey has been a search for healthy examples of manhood. The popular culture so often portrays men as either mindless buffoons (Homer Simpson), argumentative blowhards (many politicians and commentators), sports heroes, or criminals. Many of us do not fit into these categories, and we know there must be other alternatives. Somehow, we can develop a healthy masculinity in ourselves that does not require us to dominate women or one another, but instead draws upon our deeper strength within; a strength that also includes compassion and wisdom. This is the path to manhood that each of us must walk, but we do not need to walk it alone. Women also lack healthy models of femininity. They grow up surrounded by messages that their value stems from their physical features, their financial status, or their academic success. The path for women also involves accessing one’s strength and wisdom to face their challenges, and to grow into adulthood. How can we walk this path in the face of a culture of superficiality? I was glad to discover resources to aid us on this journey: both current research on emotions and brain function, as well as ancient tools of metaphor, religion, and fellowship.